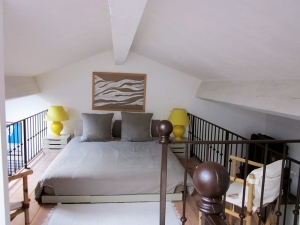 In the heart of the Mâconnais in the vineyard Pouilly-Fuissé, charming cottage near the owner for 2/3 people. Composed of a room to be lived with living room, done up kitchen, bed of 90 and 160, 2 rooms of water, 2 TOILET, central heating, closed terrace of 40 m ², parking. There are no comments yet, be the first to post one ! Extend your summer with charming week-ends. Whether you are looking for an exciting break to get away from it all or a leisurely opportunity to sample some of our best wines, wine tourism in the Mâcon area of southern Burgundy (France) offers you so much to see and do. You can choose between a cool, relaxing cruise down the river Saône, a chance to explore the region’s vineyards (Saint-Véran, Pouilly Fuissé, Viré Clessé or the Mâcon Villages), sports and leisure activities to suit everyone, all the fun of discovering the many and varied heritage sites in our wine producing villages, the Roche de Solutré, listed as a “Grand Site de France” tourist site, not forgetting the delicious meals waiting to be enjoyed in our gourmet restaurants. Your family certainly won’t go away disappointed. 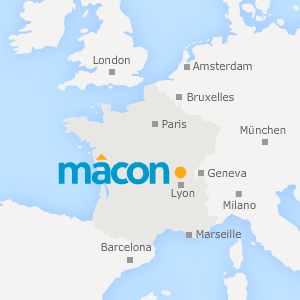 You can trust the Mâcon Tourist Office to prepare your holiday or your stay in the region on the way to the Alps or the Mediterranean.